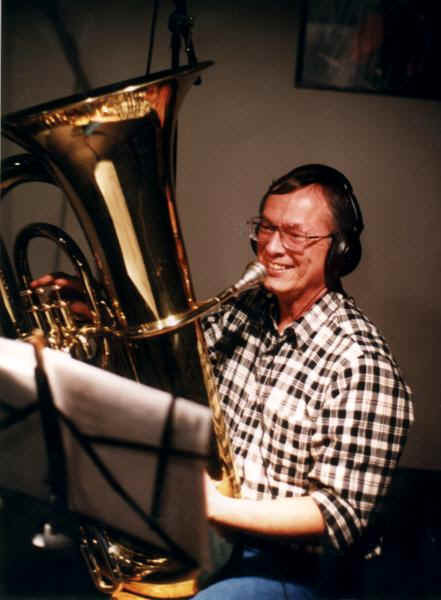 Doug and his beloved Gert (the tuba). Doug's passion for music is eclipsed only by his passion for sewage. Not really, but Doug does head up the department of public works in Evart and making sure we Evartons don't drown in our own waste is one of his responsibilities. We appreciate him greatly, for his many talents.